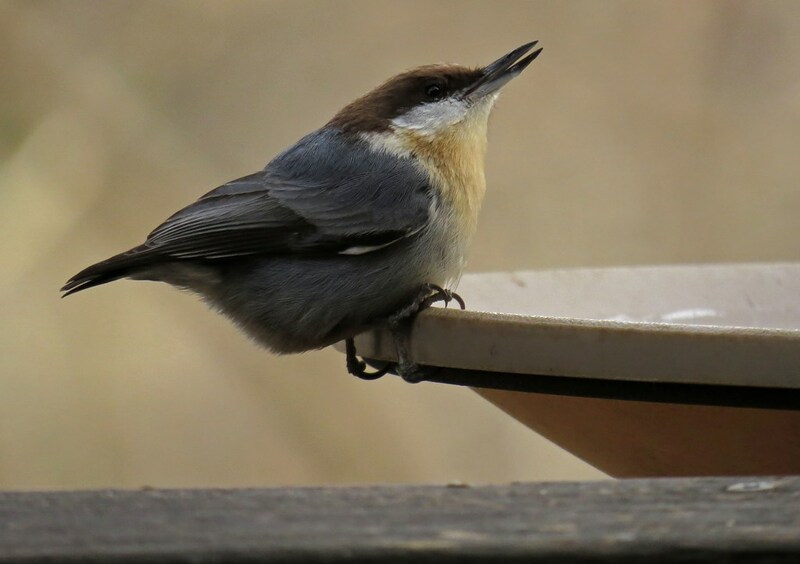 The temperature took a bit of a dip here in the Atlanta area over the weekend, which prompted quite a crowd to show up at the backyard buffet. The most sought after (and sometimes fought after!) 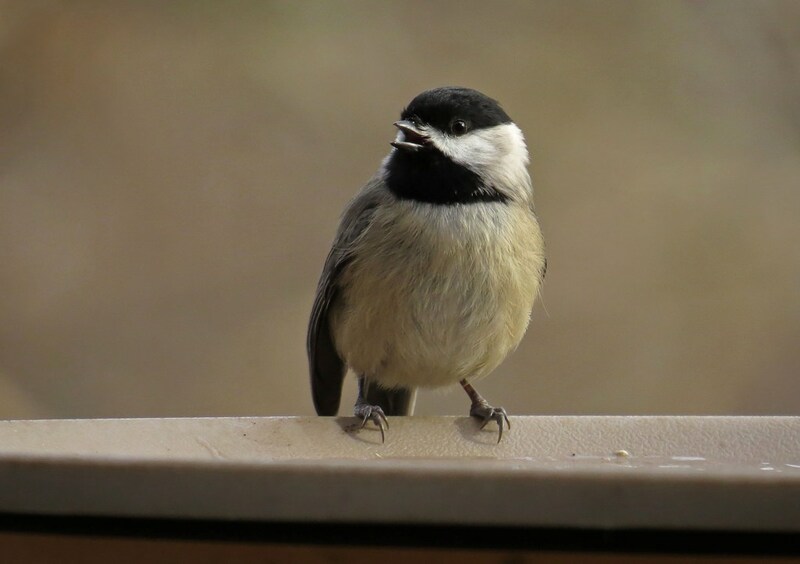 burreakfast item was definitely the Bark Butter – a suet type spread that is high in protein. The birds really do love this stuff. 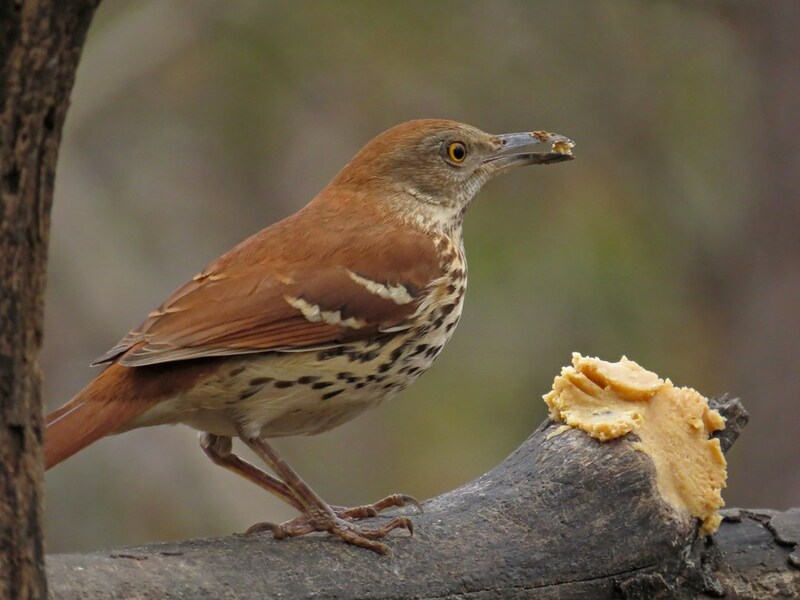 Brown Thrasher – the bird with the perpetually muddy beak! 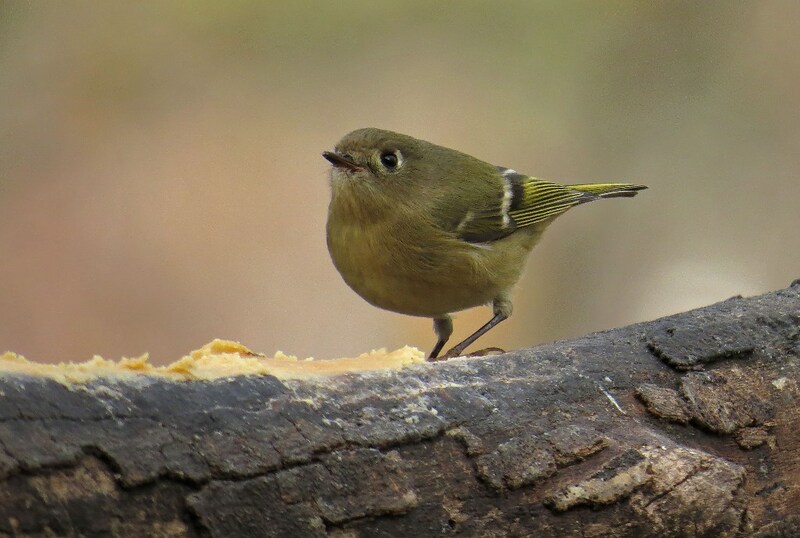 Ruby-crowned Kinglet – opting not to show his crown. 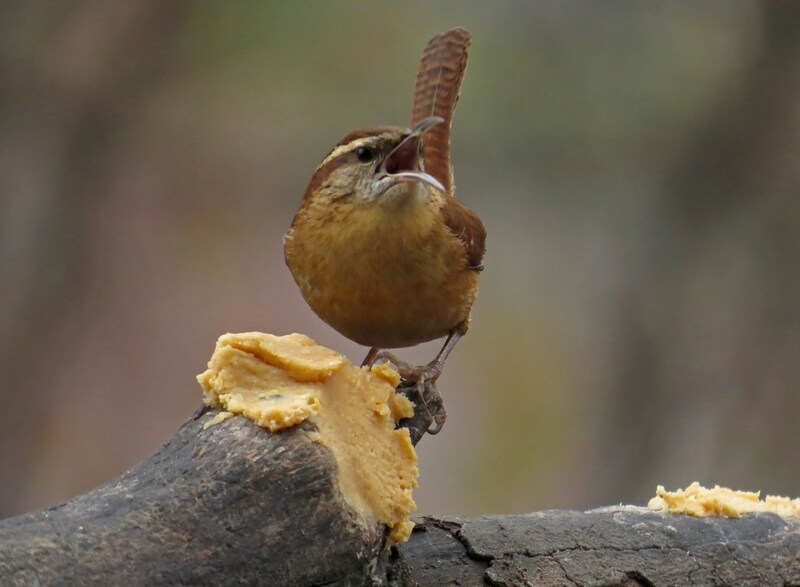 Carolina Wren – I’m fairly sure he was saying, “It’s mine, all mine!”…insert maniacal laugh! 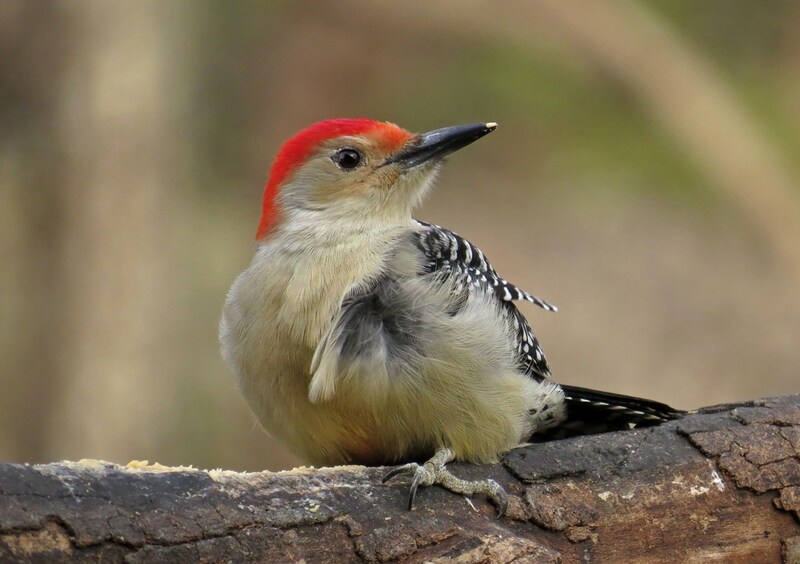 Red-bellied Woodpecker – you can tell by his feathers that it was a bit blustery. 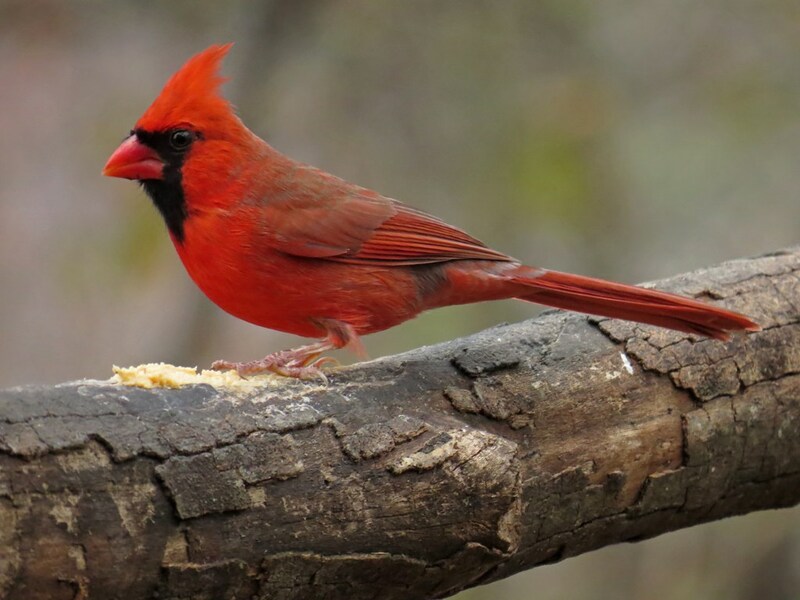 Male Northern Cardinal – he’s handsome and he knows it! Fresh water was also a draw. 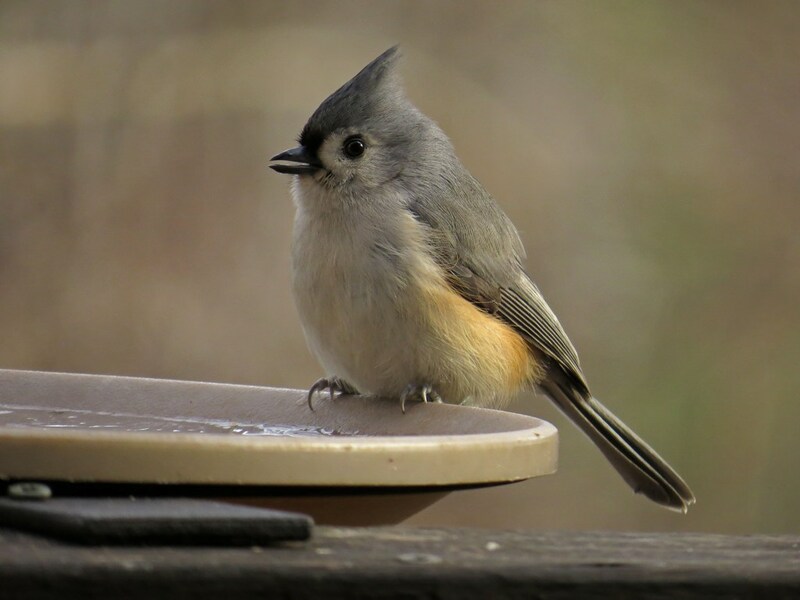 As soon as I dumped out the ice in the dish and added not-yet-frozen water, the birds started dropping in for a drink. 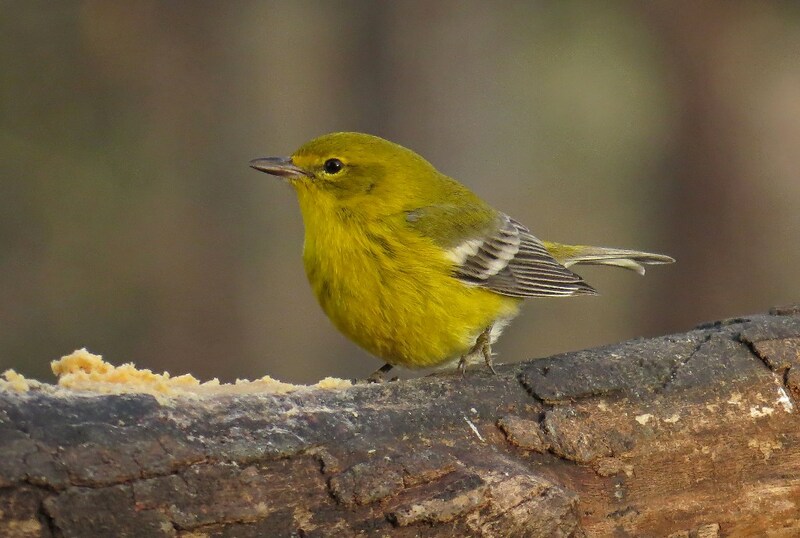 And of course, there were birds like this handsome Pine Warbler who opted for the Bark Butter/Beverage combo. It’s funny, although I’m usually a cold weather wimp, it’s actually my favorite time to be out with camera in hand. Call me strange (my family does!) but there’s something invigorating about snapping pictures when you can’t feel your nose or your toes! 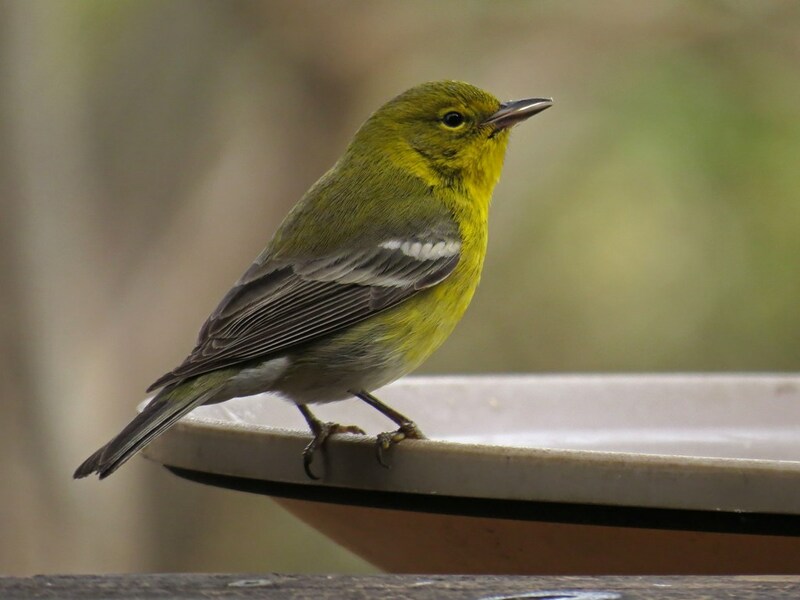 This entry was posted in Backyard Birds and tagged bird feeding, bird watching, birds, cameras, georgia birds, hobbies, photography, winter weather, writing. Bookmark the permalink. Wonderful shots! Most of these birds have migrated to the south of us. I enjoy catching up with them here. Thanks for the pictures! It was cold in Macon too! Great reminder to pick up more feed. Must try the bark butter!